Senior citizens are among the fastest-growing populations in the United States. Data from the United States Census Bureau for 2018 indicates that older people are slated to outnumber children for the first time in American history. With life spans increasing and today’s baby-boomers becoming tomorrow’s senior citizens at a rapid pace, older Americans are also at increased risk for drug and alcohol addiction. Epidemiologists at the National Institute on Alcohol Abuse and Alcoholism (NIAAA) report that problem drinking is rising fast among older Americans. At the same time, prescription drug addiction continues to rise among this age group as well. Addressing the quiet yet pervasive epidemic of senior-age substance use disorder (SUD) requires the advent of treatment services that can successfully manage the unique care needs of this population. 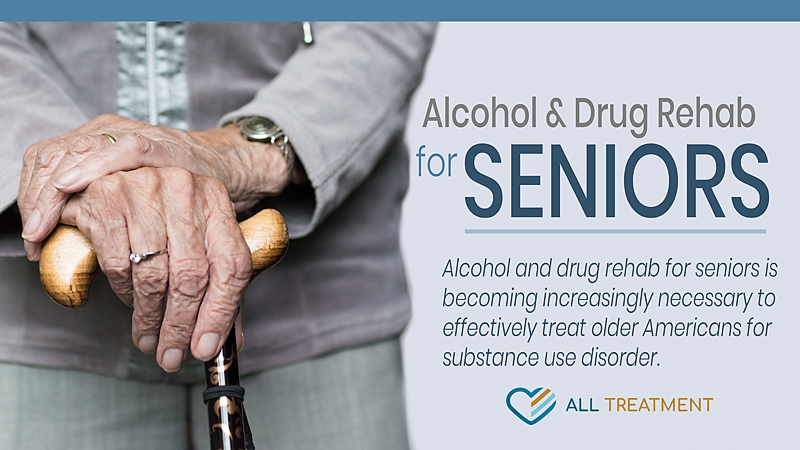 Alcohol and drug rehab for seniors must offer specialized and targeted care that adequately addresses the physical and emotional rigors of the aging process. What’s Driving Addiction among Seniors? Emotional Rigors – The aging process brings about serious and profound change with which older Americans very often have a difficult time contending. As we get older, so do our friends, our environments, our ideas, and our very way of life. As older Americans are increasingly forced to deal with tragedy and imposed change, it can take a tremendous emotional toll. The depression of losing a way of life, the increasing anxiety over personal and financial security; and the increased proximity to mortality can have a lasting emotional impact. The National Institutes of Health (NIH) reports that more than two million Americans over the age of sixty-five suffer from one form of depression. The Anxiety and Depression Association of America (ADAA) reports that generalized anxiety disorder (GAD) is the most common type of mental health issue among older Americans. Like other age groups, seniors may self-medicate for these conditions using alcohol or other drugs. Physical and Medical Issues – In addition to the emotional pitfalls associated with advancing years, the aging process also sees the breakdown of the body and various corresponding medical issues that require powerful prescription drugs like painkillers, benzodiazepines, and sleeping pills. As recently as 2014, generic Vicodin was the most commonly prescribed drug for patients on Medicare. Also, as the body ages, it becomes less able to effectively metabolize drugs and alcohol, and the onset of the effects of their use becomes more immediate and severe. Safety risks associated with excessive drinkings, such as accidents and falls, also increase considerably as people get older. The unique and specific care needs of senior-age SUD sufferers mandate that alcohol and drug rehab for seniors must offer intuitive care for medical and mental health issues they often face. This means medically supervised detox to help the body successfully readjust to functioning without these substances. Medical detox becomes even more necessary as patients get older, due to the delicate and arduous nature of the withdrawal process. After detox, it’s critical that elderly patients receive compassionate and targeted behavioral rehab that addresses the specific emotional issues associated with the aging process. Behavioral rehab for seniors should be guided by mental health professionals who are trained to treat older Americans and are familiar with their daily and macro struggles. After rehab, elderly patients will need ongoing care and management of their withdrawal symptoms. 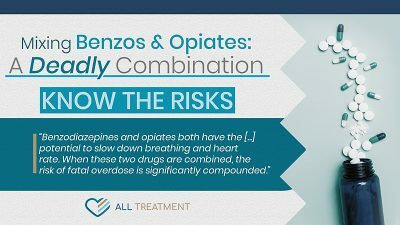 Part of treatment should include aftercare plans that address their unique care needs and provide referral information for addiction medicine specialists and mental health professional in their local areas so that they may seamlessly continue their recovery. Don’t Spend the Rest of Your Life Battling Addiction. You’ve accomplished far too much to have the rest of your life derailed by drug or alcohol addiction. If you or someone you care about are of advanced age and are battling SUD, you don’t have to fight his battle alone. Medicare and other resources can help you make treatment more affordable and accessible. Don’t surrender the rest of your life to drug or alcohol. The time to fight back is now, and now more than ever, there are more alcohol and drug rehab programs for seniors to take control and make the most of their golden years.